Last week the CBC published an article about a Vancouver property management company installing concrete balls to block people from accessing alcoves. As advocate Judy Graves pointed out to the CBC, the idea behind the balls is nothing new: “spikes, gates and flower pots have long been used in the past to keep people from lying down.” Vancouver’s hate balls haven’t rolled across the Salish Sea quite yet, but Victoria is already doing much the same thing. 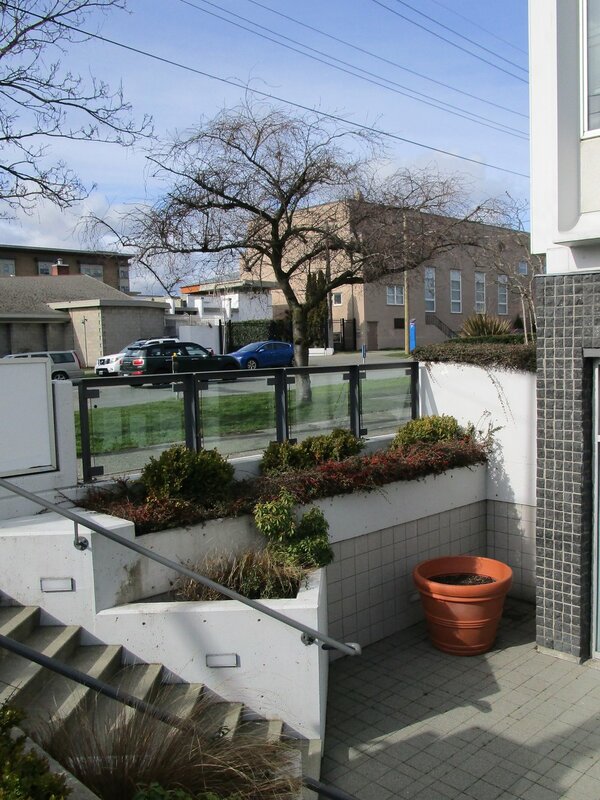 One way space has been limited in Victoria is through the use of plants and planters. Planters block alcoves at Fort and Douglas. planter blocks a recessed area at the CRA building at Vancouver and Johnson. There are two alcove-blocking planters at Fort and Douglas, and they’re hardly different from the concrete balls that have been deployed in Vancouver. Maybe the green is nicer to look at, but they both stop people from using those spaces. The Canada Revenue Agency (CRA) building at Vancouver and Johnson also uses a big tub of nothing to take up a semi-private space off the street. When is a planter not a planter? When it’s defensive architecture designed to look like a planter. 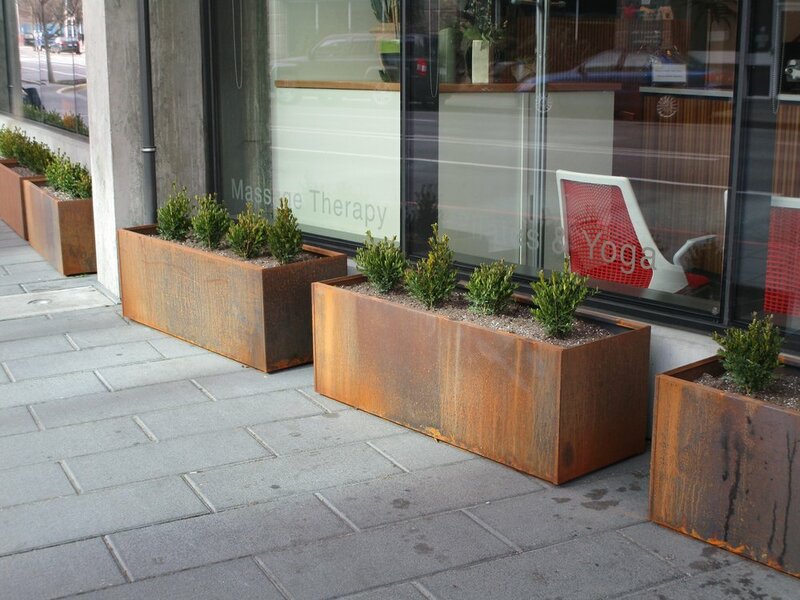 There are planters everywhere in Victoria, and at a glance it’s impossible to determine intent. 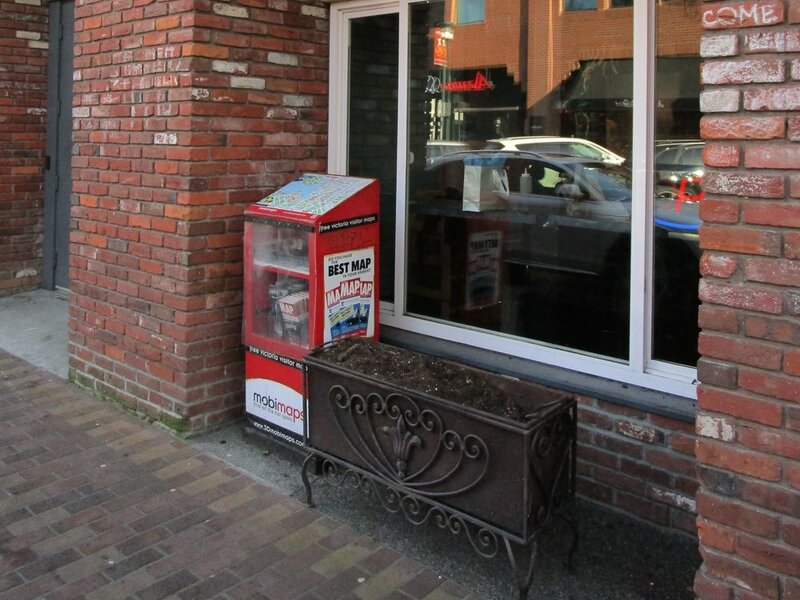 Was this planter on Broad Street placed to block people from using that space? What about the long line of new-ish planters at Blanshard and Johnson? Or, for that matter, the Fort and Douglas and CRA planters? I honestly can’t say, but they all have the effect of pushing people away, as any other options for using that space have been removed. Light fixtures outside HSBC bank, Douglas Street. It’s not just planters, of course. Outside the HSBC bank on Douglas, there are light fixtures jutting out of the ground in a few recesses. Take out the lights and you have concrete obstructions with no visible function other than to limit the use of that space. Sounds familiar, doesn’t it? Victoria businesses didn’t have to wait around for Vancouver to show them the way; properties here have been using concrete to limit available space for years. Defensive and hostile architecture is deeply embedded in Victoria’s landscape. The message is that homeless and poor Victorians using public space for private purposes – sitting or sleeping – is not okay. On the flip side, planters, lighting, and fences designed to keep people out are supposed to be totally acceptable. Business owners who install these things often defend them on the grounds that they’re tired of cleaning up garbage, or they’re tired of confronting people who use that space. I’ve said before that it’s ridiculous that businesses, charities, and social workers have been left to pick up the slack when it’s governments that have left people homeless. Nevertheless, I would remind any business owner considering blocking access to a space: it is infinitely harder to live in homelessness than it is to clean an alcove.